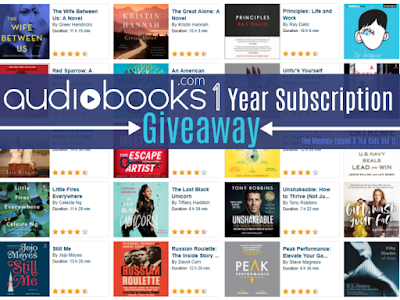 I am really excited about this giveaway because I love to listen to audiobooks. There is nothing like a good audiobook and headset to help you get in a little me time. People often ask me how I am able to read so many books. The answer is audiobooks. You can squeeze in some listening time even when you are doing other things. For example, I listen to audiobooks when I am cooking, cleaning, and shopping. Right now, I am listening to Once Upon a Price by Rachel Hauck. stream and download more than 100,000 incredible audiobooks to your smartphone, tablet or computer. Audiobooks.com! (ARV $180) Open for entry from April 13, 2018, to April 30, 2018, at 11:59 p.m. EST. The winner will have 24 hours to respond to the notification email or a new winner will be selected. The Mommy Island and participating bloggers are not responsible for prize fulfillment. If you're a blogger wanting to join more events like this one join Blogger Talk. If you're a brand looking for a promotion like this one email themommyisland@gmail.com. Don't forget to come back daily for bonus entries. Good Luck! 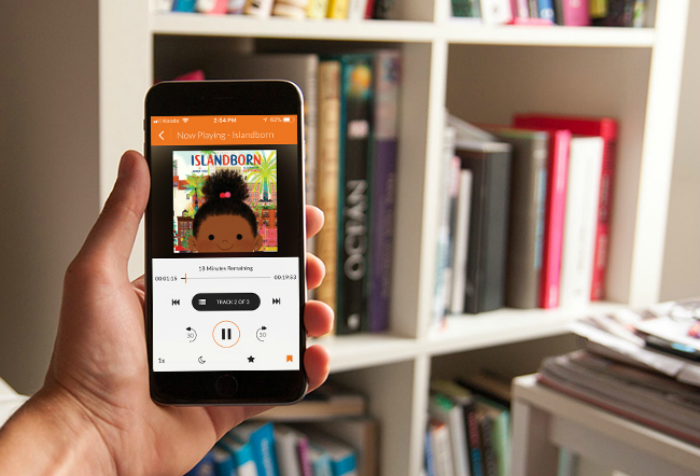 I visited Audiobooks.com. I'd like to read Children of Blood and Bone by Tomi Adeyemi.